You are here: Home / Resources / Our Most Popular Blog Posts Of 2012, And A Huge Thank You To You! There are no words to describe how awesome of a year 2012 was, both for our family and the community that was built around this blog. I’ll be sharing some of my thoughts about this past year in an upcoming post, but in the meantime I wanted to share our top ten posts of 2012 with you. I listed them in reverse order of number of visitors per post. If you’ve been following our story it should be no surprise to you what our most popular post of 2012 was….in fact it’s the post that really kicked started this whole thing. That one post changed everything. Our entire family wishes you and your family a very happy New Year. We want you to know that we sincerely appreciate all of the kind comments, emails, tweets, facebook notes, etc….we don’t get a chance to reply to each and everyone personally, but please know that all of your messages are read, and all are greatly encouraging (for the most part) to us. Thank you for them all, and thank you for sharing your family with us. The coolest part of this blog for us is getting to meet so many of the awesome people who, for some reason, take the time to read our ramblings. We’ve become friends with people from all over the world through this blog, and our Facebook page, and we look forward to meeting many more in 2013! 9. Exersaucer Vs. Jumperoo Which One Is Best For Your Child? Did you get a chance to check out all of these posts? 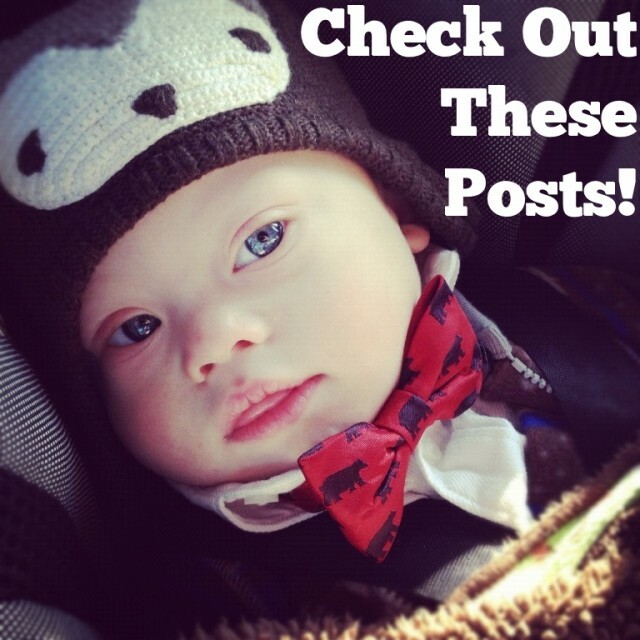 What was your favorite post of 2012 from our blog? Leave a comment and let us know! I’m wondering which blogging and site-building platform you’re running?